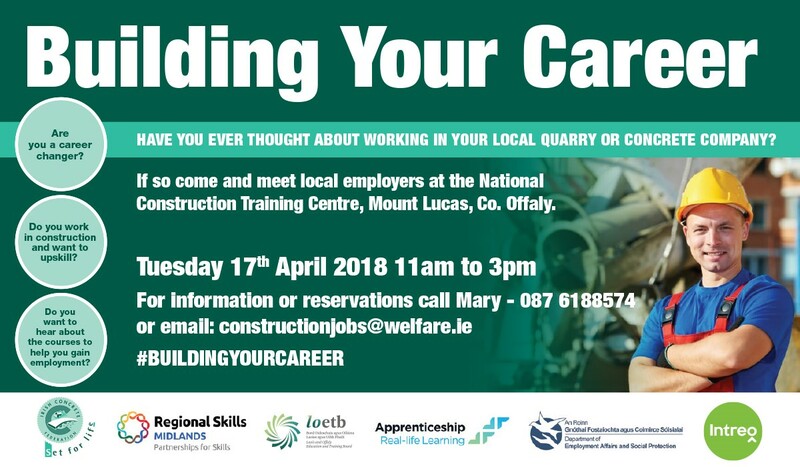 The Irish Concrete Federation is delighted to be involved in the upcoming ‘Building Your Career’ event that is taking place on Tuesday, 17th April 2018 from 11am to 3pm at the National Construction Training Centre, Mount Lucas, Co Offaly. The event is being hosted by the National Construction Training Centre and is being jointly organised by the Department of Employment Affairs and Social Protection and ICF in association with Laois & Offaly Education and Training Board (LOETB) and Regional Skills Midlands. The aim of the event is to facilitate direct contact between local employers and jobseekers, job changers, trainees, students or anyone who is interested in pursuing or moving to a career in their local quarry or concrete manufacturing company. 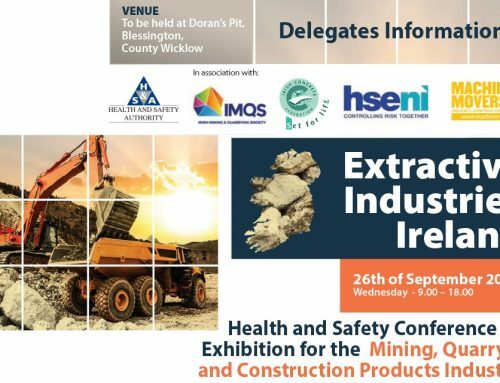 There will be ten local ICF member companies participating in the event and advice on careers, education and training options available to jobseekers will be available on the day from the Department of Employment Affairs and Social Protection, Laois Offaly ETB, Regional Skills Midlands and the National Construction Training Centre. 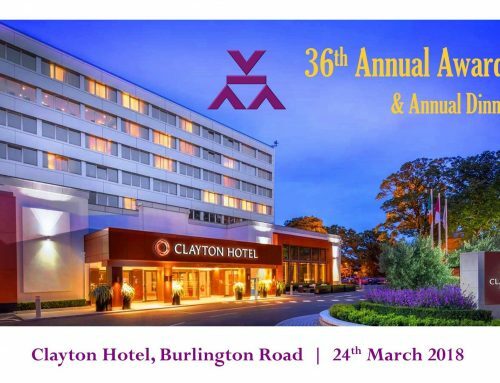 If you would like to listen to recent radio interview in relation to this event on Midlands 103 Radio with Gerry Farrell, ICF, please click here for full interview.